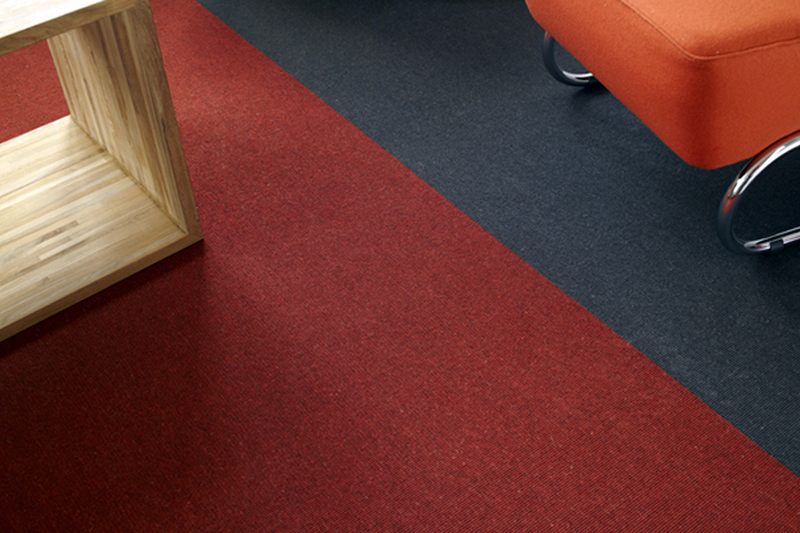 India is a tight, low profile contract carpet woven in wool and nylon. 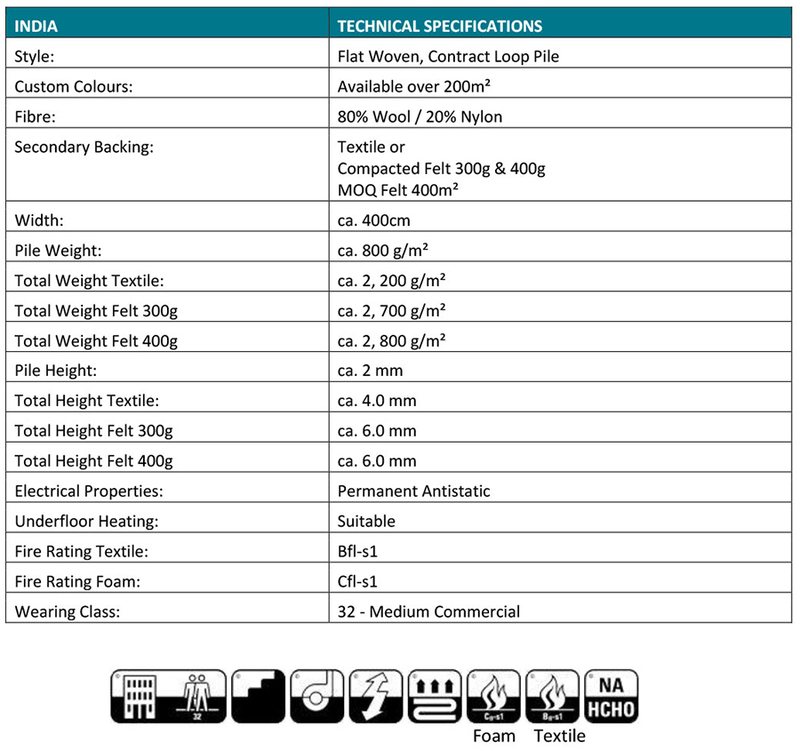 India is also available in optional felt backing for additional comfort. For quantities over 200m2 custom colours are possible. 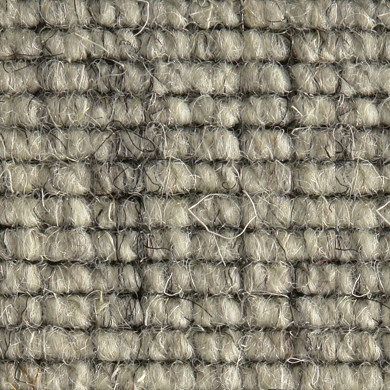 This carpet is rated for general commercial use.